In question: The PKNS field in Kelana Jaya which residents want to be retained as green lung. 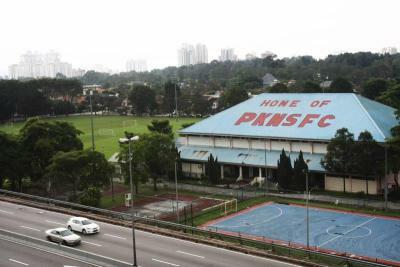 Discrepancies in the Petaling Jaya Local Plan 2 has led to residents stepping up the campaign to save the PKNS field in Kelana Jaya. The field earmarked for development of five 35-storey apartment blocks has been the subject of controversy among residents who want the field retained as a green lung. After several attempts to stop the development, the action committee found a discprepancy in two versions of the local plan, one by the Petaling Jaya City Council (MPBJ) and the other by the Selangor Town and Rural Planning Department. The MBPJ version states that the status of the field is commercial while the planning department has marked it as a green lung. The error was highlighted by councillor Derek Fernandez at the full board meeting earlier this week sparking outrage among residents. “The process of tampering a government document is fraudulent. It should be investigated and a police report should be lodged because it involves so many people,” said action committee secretary Esham Salam. “It is the responsibility of PKNS to return the field otherwise the land status might be changed later on and the development could take off,” he added. The committee is urging Selangor Mentri Besar Tan Sri Khalid Ibrahim to make a commitment to return the field. Meanwhile, Kelana Jaya Barisan Nasional component parties are asking for a full explanation on the discrepancies discovered in the local plan. “I don’t know if the residents can accept a technical error as an explanation,” Kelana Jaya BN coordinator Ong Chong Swen. She said the council had not received any development plans but noticeboards had been put up and meetings arranged with the residents. She, however, commended Roslan for admitting it was a serious error. Roslan in a press conference after the full board meeting said the development would not be carried out. “Any development made based on the wrong plan will not be accepted,” he said. Ong also said the action committee had lodged a report with the MACC on the matter. Residents, who attended a press conference organised by Ong at her office in Regalia Subang Jaya, were unhappy with the proceedings. A resident, Mohd Aminuddin Che Mat Din said the mayor might say that the project would not take off now since the mistake had been found out but what guarantee was there that the development would not be approved later on. “We want to put a stop to it now,” he said. Ong said they would lodge a police report on the discrepancies.